Off the top of your head, can you define "anodyne" or "faradic"? Probably not, but these and many more obscure words, occur throughout Traditional Hydrotherapy. To overcome the lack of knowledge of these terms I had made up a glossary. 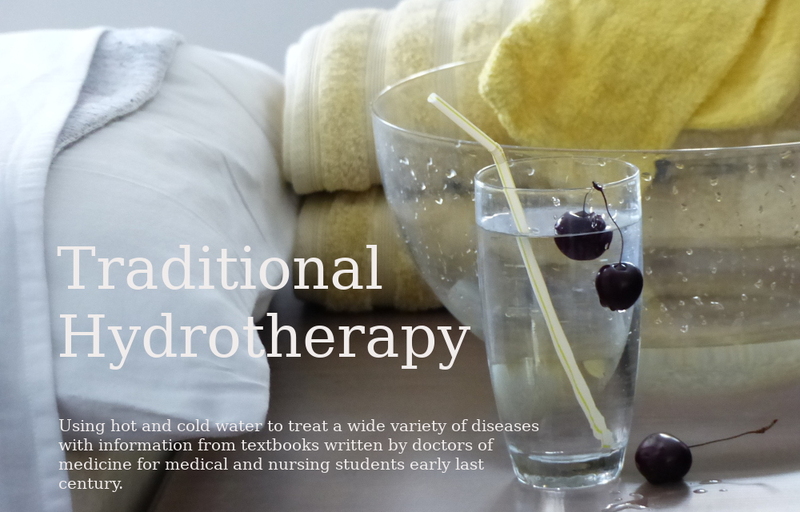 I now wanted to make this available easily to the reader of Traditional Hydrotherapy. The answer was in Tooltips. To illustrate a tooltip just hover your mouse over anodyne or faradic. That box that springs up is a tooltip and exactly what I needed... a simple way to get the definition to the reader. Problems presented themselves immediately, and, as always, Vim was up to the task. Problem: I had to turn the definition into a single line. Answer: Use "J", which appends the following line with a space in between. Second Problem: These words are often part of larger words and I didn't want to chop words up. Word Beginning, "\<", and Word End, "\>". This way I would be able to make tooltips around whole words only. Thirdly: how do I substitute the text for both upper and lowercase occurrences, "Faradic" and "faradic"? then @M which does the tooltips for the upper-case and also deals with words in the titles of pages. and @N a final macro that corrects some of the changes @M made and goes to the next card in the glossary. l"tyE - move right one (onto the first letter of the title) and yank to End of the word into register "t"
j^"dy$ - move down one line and to the beginning of the word then yank to end of line into register "d"
:%s+\<^Rt\>+^Rt+gc^M - the business substitution - using Word Beginning, "\<", and Word End, "\>", this is to prevent words as part of URLs being substituted. The registers are called using the "-R (register letter)" form. The substitution is for all occurrences on a line and "c"hecks. so I can be sure it is going OK.
k/@^M - move up a line and search for "@"
:%s+^Rl.html+LL^Rl.html+ge^M - a substitution to add "LL" to the beginning of the word if it is a filename and thus preventing it being changed. :%s+\<^Rl\>+<span title="^Rd">^Rl</span>+gc^M - much the same as the substitution in @G except using register "l" instead of "t"
Using these files I managed to add tooltips to about 200 words in my spare time last week. Now to make all those files (and validate them).